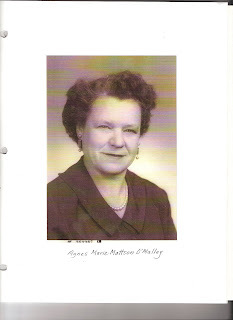 Agnes Mattson is my husband’s paternal great-grandmother (Shirley Gingg -> Agnes Mattson). From the stories I have been told, Agnes Mattson is one of those people you wish you had the chance to know. She was born May 1, 1909 in San Francisco, California to Charles Mattson and Wendla Botmaster. She was the middle child of five, having two older brothers and two younger brothers. The eldest son died an early death and Agnes never knew him. She worked in the Talmage State Hospital for many years and also owned 1000 acres in Hopland at one time. Agnes is a woman who never gave up on love and kept trying her had a marriage. She has 7 documented marriages and a deathbed confession of an 8th marriage. We have not located any information about the 8th marriage. 1. Charles Frank Gingg. Agnes and Charles married September 5, 1925 in San Francisco. Charles was 22 at the time of the marriage. The marriage certificate indicates that Agnes was 19 but she lied. She was only 16 when she married the first time. They had one daughter, Shirley Marie Gingg. Shirley would be Agnes’ only child. Charles and Agnes were divorced October 10, 1934. The reason for the divorce was Charles having been sent to San Quentin Prison for his involvement of a burglary/murder in Santa Rosa, California in 1933. 2. William Earl Hines. Agnes married Bill Hines June 15, 1936. The wedding was witnessed by Edwin and Sylvia Mattson, Agnes’ brother and his wife. They lived in Napa, California. Bill died in 1945 of a heart attack. 3. Andrew A. Hooks. Agnes married a third time to Andy Hooks on November 3, 1950. Andrew was in the Air Force and stationed at Travis AFB in Fairfield, California. There is a family story that this marriage ended in a quickie divorce in Mexico. I do not know if this is true or not. But I have no other knowledge of how the marriage ended. 4. Daniel M. Williams. Dan and Agnes married March 3, 1953. Their marriage was annulled in the first two weeks of February 1955. 5. Donald Edward Frazier. As soon as her previous marriage was annulled, Agnes married Don Frazier on February 14, 1955 in Reno, Nevada. They lived in Talmage, Mendocino, California. Don was Agnes’ favorite husband and they are buried next to each other in Colma, California. He died in May 1958 from lung cancer. 6. Peter Klick. Agnes went back to Reno for her next marriage to Pete Klick. They were married may 18, 1963. They lived in Hopland, Mendocino, California. Pete died June 4, 1975 of cancer. 7. Patrick O’Malley. Pat O’Malley was Agnes’ last husband. They were married in Reno, Nevada (do we see a pattern here?) on March 31, 1978. My mother-in-law remembers being pregnant with my husband as she traveled to Reno to witness the marriage. Agnes had met Pat in the mobile home park she was living in Cloverdale, California. The story is that she broke many of the other single women’s hearts when she married Pat, one of the only single men in the neighborhood. Pat outlived Agnes. She passed away March 22, 1982 in Cloverdale. Agnes did have a family bible that she kept written notes about births and deaths in her family. She wrote information about Don Frazier’s family in the back pages of the bible. On random pages, she wrote the first names of all of her other husbands in the bottom margins except for Frank Gingg and Dan Williams. Her many marriages were “hidden” inside of the bible. Unfortunately, we do not have any information about the name of the mystery 8th husband or the year she may have married him. I am considering doing some searching in the Reno marriage registers to see if any of her married names show up. The time frames which Agnes could have married an 8th time are limited as the time periods between marriages were generally only a couple of years apart. I totally understand! I would never have been able to track Agnes if her daughter (my husband's grandmother) had not kept great records and copies of most of the marriage certificates. Quite amazing to see all of your information. 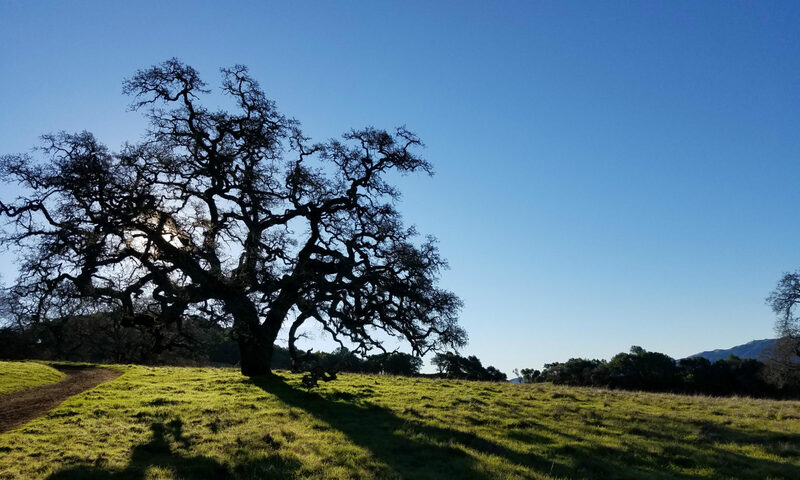 I always told my wife about the ranch I went to in Hopland. It was the Klickitat ranch. My father Bill Poggi a mechanic from S.F was invited by Mike White, I Think. To hunt the ranch for many years. I was between 8 and 13 years old so my memory of which is not perfect. I remember staying in the bunk house. Eating with Pete and Agnes in the main house, watching sheep shearing . Agnes feeding deer outside the main house. Staying at Johnny a sons house. About a mile from the main house house. I got my first deer at 13y/o right down the road from Johnny’s house. I remember when half of the ranch was sold. Is it still owned by the Pope?family? Totally blown away to find this info. Hi! I love hearing your memories of the ranch! We are still there. Agnes’ son in law (Pope family) and grandson still own part of the land. My kids are the 5th generation to play on the mountain.